We've helped more than 10,000 members save and borrrow for more than 10 years. 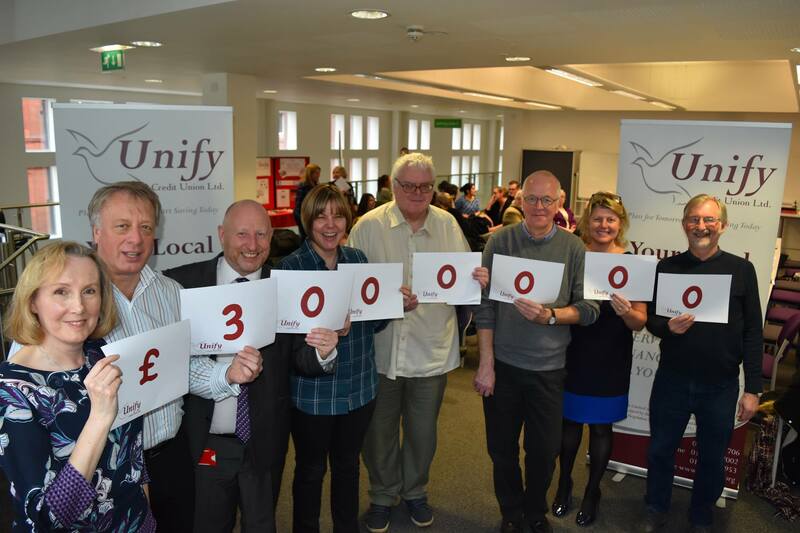 Unify Credit Union was formed in 2002 when three small community credit unions merged together to give people across the Wigan borough an easy way to save, borrow and plan for tomorrow with an ethical and local partner. Over the last ten years we have expanded to serve 10,000 members in Wigan, Leigh, Chorley, Leyland and Skelmersdale - including more than 1100 junior members in local primary schools. In that time we have provided more than £10million of loans to members. In the last year alone, we have helped members save more than £3million by getting an affordable loan from us rather than turning to more expensive lenders. But we don't just provide savings and loans - we want to ensure that our members make the most of their money. Working with partner agencies, we can help with budgeting, financial planning and debt advice. Your financial well being is key to our success! You can find us online and in branch: we have branches in Wigan, Ince, Leigh and Chorley.